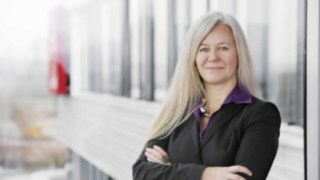 Around 13,000 people worldwide are working for the Linde brand. With production and development resources in all relevant regions, Linde is addressing the specific requirements of local markets. Linde employees are taking care of customers' needs at more than 700 sales and services facilities in over 100 countries. 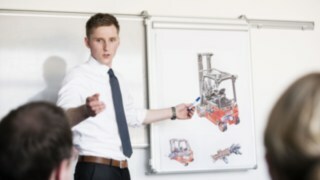 A network of more than 8,500 service technicians ensures maximum availability of Linde trucks and solutions. Based on its worldwide logistics network Linde guarantees spare part delivery within 24 hours. 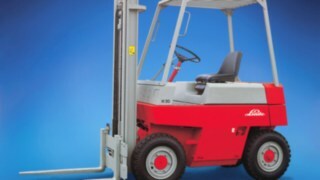 Linde Material Handling is one of the world's leading manufacturers of forklift trucks and warehouse equipment. 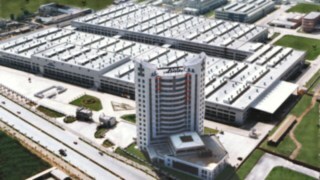 In Europe, the company is the market leader with the Linde and Fenwick (France) brands. Since 2006, Linde has been part of the KION Group. 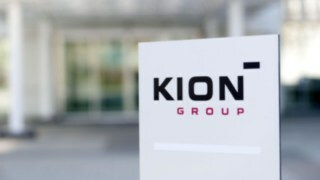 The KION Group is the world's second largest manufacturer of industrial trucks and one of the leading suppliers of automation solutions for intralogistics. 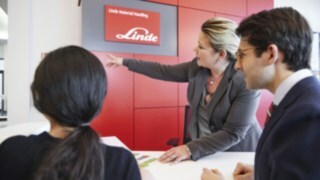 Linde is represented in more than 100 countries worldwide with its own branches. The company's international network includes production and assembly plants in Germany, France, the Czech Republic, the USA and China as well as more than 700 sales and service locations. For its customers, Linde develops high-performance solutions for intralogistics. 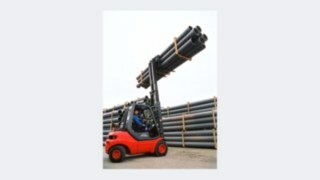 The basis for this are electric and diesel forklift trucks, warehouse equipment, fleet management software, automation solutions, driver assistance systems, financing offers as well as services around the forklift truck and operator training. Linde's vehicle offer is unique. It comprises around 80 series with up to 20 model variants and around 9,000 equipment options. 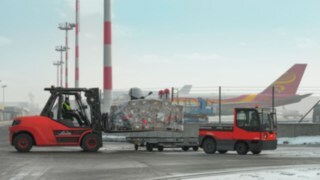 On the basis of this modular system, Linde manufactures the vehicles and fleets precisely tailored to their requirements for transport, storage, picking and stacking. As in other industries, digital networking, automation and the demand for more and more individual products are also driving technological change in intralogistics. However, this change has different effects in every company. Linde Material Handling helps its customers align their material management with these new challenges. 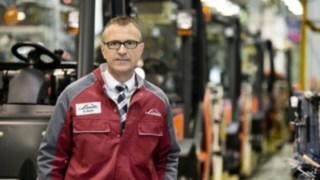 In doing so, they can rely on the great strength of Linde: there is no product off the shelf at Linde. Technological innovations are only implemented if they achieve sustainable customer benefit. Customers receive well thought-out solutions that meet the individual requirements of their application to 100 percent. Productivity, safety and ergonomics are the key guiding principles. 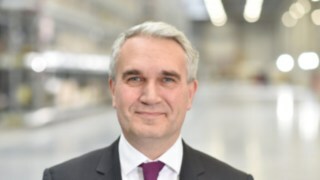 Andreas Krinninger has been a member of the Management Board since 2014. 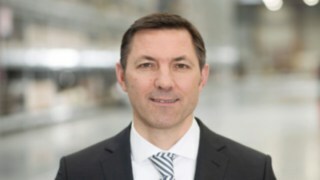 Since 2016 he has been responsible for the strategic development of the company in his double function as Chief Executive Officer and Chief Financial Officer. Christophe Lautray has been a member of the Executive Board since 2009. As Chief Sales Officer, he is responsible for sales and customer service. 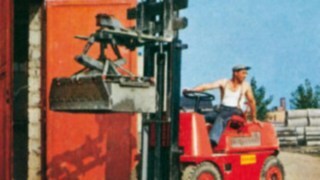 The roots of Linde Material Handling date back to the beginning of the 20th century. Together with Hugo Güldner and Georg von Krauss, Carl von Linde founds the Güldner-Motoren-Gesellschaft in Munich in 1904. Three years later the company moves to Aschaffenburg. 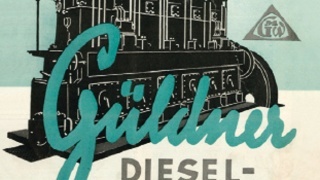 In 1929, the Gesellschaft für Linde's Eismaschinen AG, founded by Carl von Linde in 1879, took over the Güldner-Motoren-Gesellschaft. 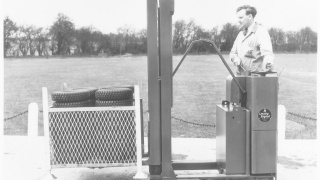 In 1955 the development of the first vehicle with a hydrostatic drive and the first truck with this drive concept in 1960 laid the foundation for Linde's rise to one of the world's largest manufacturers of forklift trucks and warehouse equipment. Find out more about the company's milestones in the chronicle. At the moment World of Material Handling, Linde, together with more than 7,000 professional visitors, takes a look at the future of material handling in the world of logistics 4.0. In Aschaffenburg, Linde opens its new headquarters at a place rich with history. In 17 months the building at the Carl-von-Linde-Platz, originally from the 1950s, was completely renovated and redesigned on the basis of a modern room concept. Linde celebrates the production of the 750,000th forklift truck. 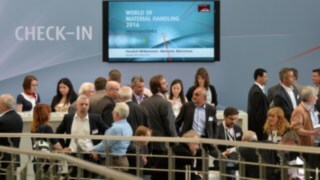 The first World of Material Handling (WoMH), a customer event hosted by Linde, attracts more than 6,000 professional visitors. At WoMH the Linde Safety Pilot is also celebrating its debut. The electronic assistance system supports the operator and helps him avoid dangerous situations. 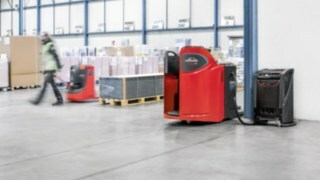 With the E20 - E50 forklift series, Linde becomes the market leader in Europe for electric trucks. 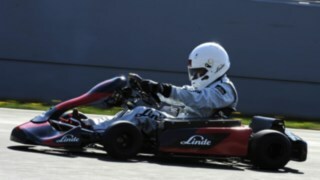 The electric kart E1, which Linde has developed on the basis of original components of this series, sets a world record for electrically driven karts - accelerating from 0 to 100 km / h in only 3.45 seconds the E1 drives directly into the Guinness Book of World Records. Linde is presenting prototypes with alternative drives such as hybrid and fuel cells for the first time. Since 2010, Linde has become the first manufacturer of industrial trucks in Europe offering of fuel cell powered trucks off-the-shelf. Linde Material Handling becomes part of the newly formed KION Group. The Staplercup is celebrating its premier. 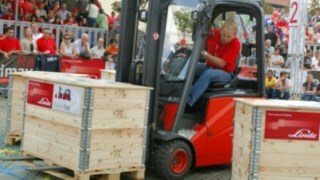 More than 1,500 operators participate in the first German championship for forklift operators. Since 2007, international teams also participate. The final competition at the Schlossplatz in Aschaffenburg regularly draws the attention more than 10,000 spectators every year. ‘StaplerCup hilft e.V.’, a charity club founded in 2008, is donating the proceeds of various projects for charity - more than EUR 200,000 as of today. 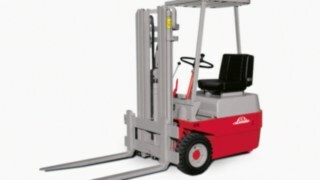 Linde is founding a joint venture with the second largest Chinese forklift truck manufacturer in Xiamen. With the acquisition of British forklift manufacturer Lansing Bagnall - the inventor of the reach truck - Linde is extending its storage technology offering. The 351 series revolutionises the world of industrial trucks. 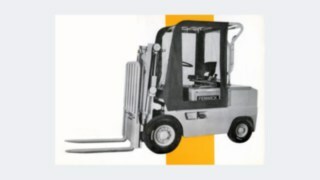 The diesel powered forklift sets truck sets new standards in design and handling performance in the ‘premier class’ of trucks with a lifting capacity of 2 to 3.5 tonnes. By 2001, 100,000 trucks of the series are assembled in Aschaffenburg, making the 351 the most successful truck in Europe, paving Linde’s way to market leadership for forklift trucks with internal combustion engines. Linde acquires Fenwick, the largest French forklift manufacturer, and founds the Fenwick linden S.A.R.L. 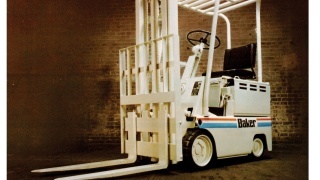 Linde acquires Baker Material Handling Corporation, a manufacturer of industrial trucks in the US. At the Hanover Fair, Linde's first electric forklift truck celebrates its world premier. The 314 series replaces the Hubtrac. The model is produced until 1980. 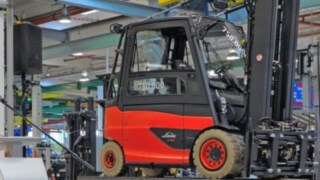 The ancestor of all Linde forklift trucks is produced in Aschaffenburg. 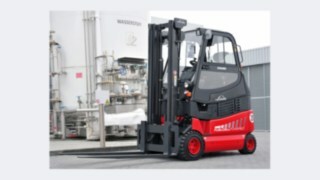 The Hubtrac is the first forklift truck with hydrostatic transmission. 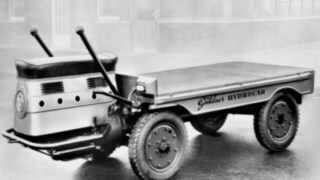 Powered by a diesel engine, the first hubtrac can carry loads of 2 tonnes, later 2.5 tonnes. At the Hanover Fair in 1960, the series is officially presented to the public. Güldner introduces the Hydrocar, the first transport vehicle with Linde’s patented hydrostatic drive. Foundation of the Güldner-Motoren-Gesellschaft in Munich. Three years later the company moves to Aschaffenburg. In 1929 it is acquired by the Gesellschaft für Linde's Eismaschinen AG. 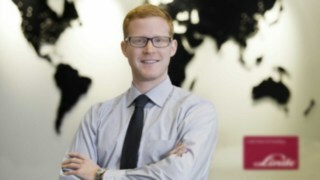 "I help to ensure that our products and processes are continuously improved – an exciting and varied challenge." "Anyone who has been a part of Linde is assured long-term prospects with a wide range of career opportunities." Sustainability means more than just a green image. At Linde Material Handling, we create lasting value by integrating environmental and social objectives into our business processes and activities.